In our home we don’t drink fizzy drinks at all, okay I lie, I have a very flexible rubber arm for a glass of champers or prosecco, but in terms of soda, never! Even when we go out to a restaurant, we will generally order a bottle of sparkling water and a jug of tap water. This is something that has just developed over our years of following a paleo lifestyle, simply put sodas are just way to sweet for us now. 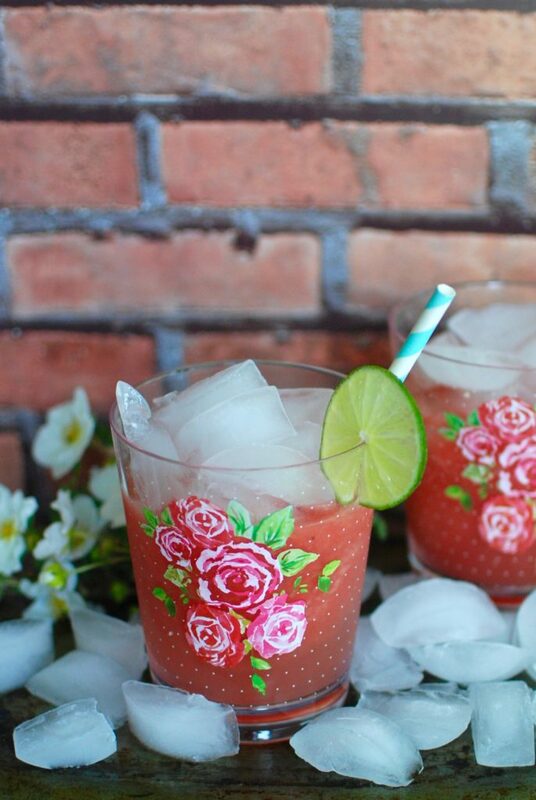 Roll on summer, and what better than to make these sparkling watermelon drinks. 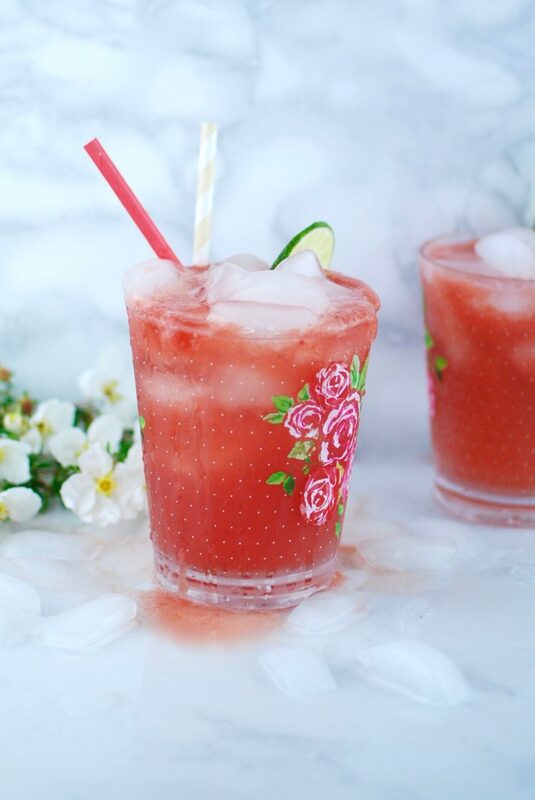 Flavoured with lime and a touch of rose water, the watermelon provides enough sweetness that nothing more needs to be added. Although, not all watermelons are the same, some can be rather insipid and not very sweet, in which case maybe add a touch of maple syrup. 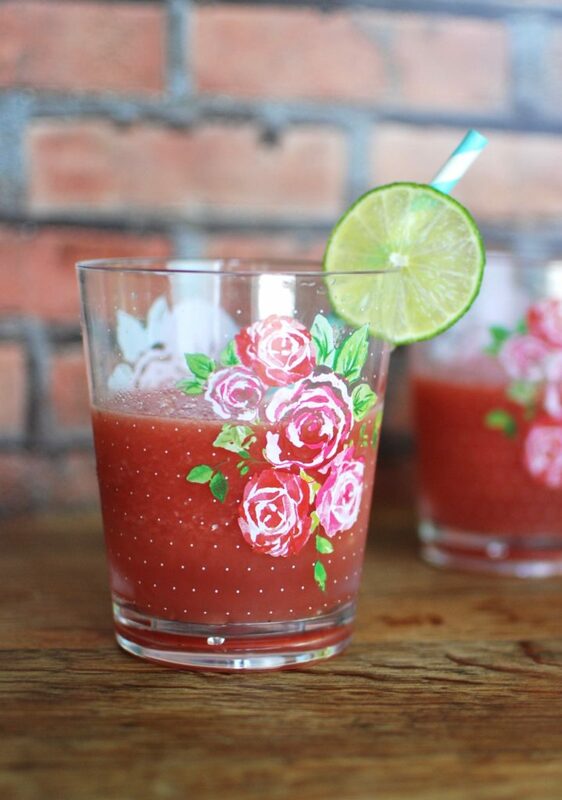 Serve it in a glass loaded with ice then topped up with extra sparking water if needed. Bring on summer, sun and sandals! 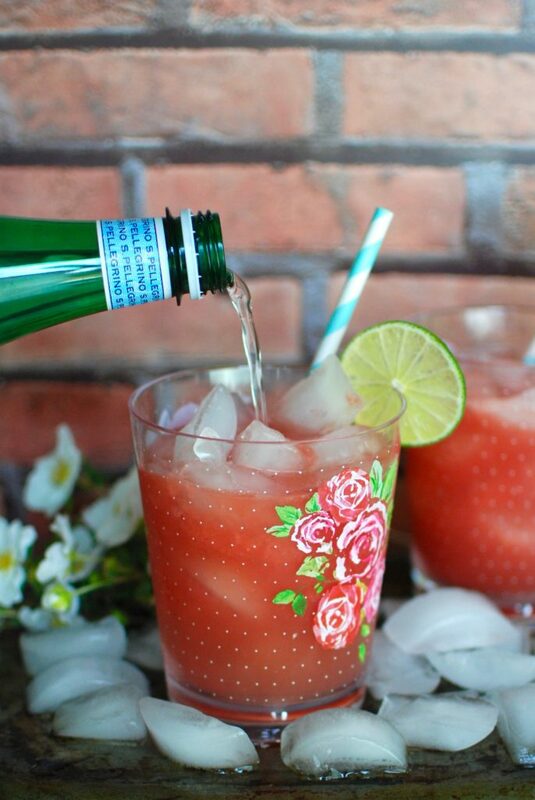 Then add more sparkling water if desired, sit back and enjoy your fabulous sparkling sugar free drink.